The structural frame is designed to withstand, in a constant basis, the vertical gravitational loads (self weight, masonry walls, floor coverings, cars, furniture, people etc) and not in a continuous but in a periodical basis, the wind and snow actions. Moreover it must always bear the “self induced” loadings caused by temperature changes etc. In every building like the one shown in the above figure, permanent (dead) and imposed (live) loads are applied. The latter are much smaller than the former, for example 3 persons and the living-room furniture weight as much as a single m2 of slab surface while a car weights as much as a sole beam. Apart from the usual loads, in earthquake prone regions, the structural frame must have enough strength surplus distributed in such a way so that in the critical moment of an earthquake, to be able to respond successfully, retaining the structure intact. Mass is the characteristic feature of a body. The force field surrounding each body defines the types of forces applied to it. The Earth’s gravitational field applies the gravity force, otherwise referred as weight. During an earthquake, the appearance of additional horizontal accelerations causes the formation of horizontal seismic forces. These forces are applied to the structure and they constitute the structural frame loading. 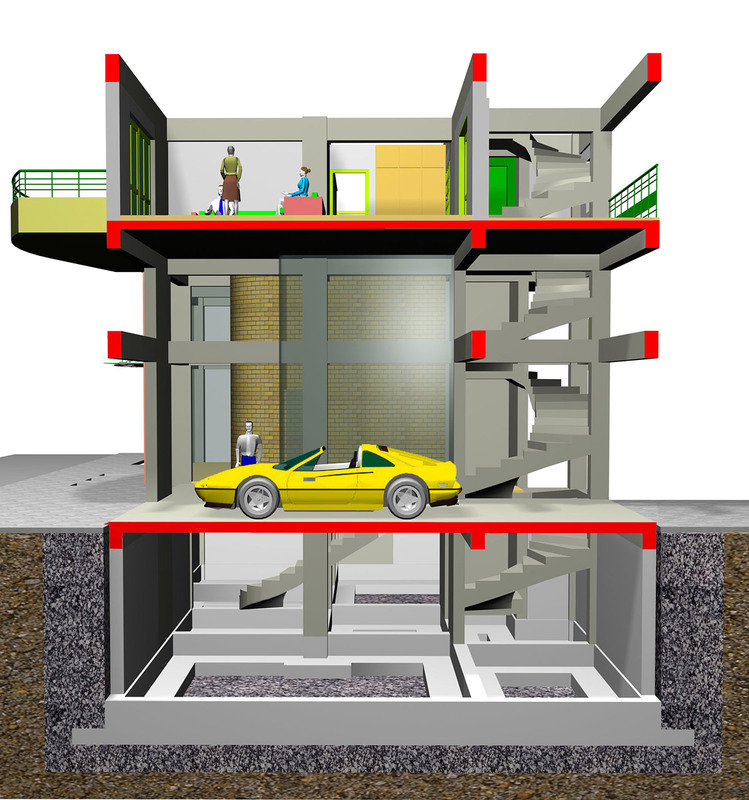 Structure loads can be classified into three categories gravity loads, seismic loads and wind loads.